Davis has maintained a slow-growth approach for the past forty years, which has protected our housing market significantly. Home values in Davis are significantly higher than the surrounding areas and are less affected by regional or national market trends. A unique neighborhood fact: Davis is planned so that all residences are in close proximity to shopping centers, parks and schools. Known for its greenbelts and the ability for kids to bike to school using the bikes only overpass into Community Park. Diverse housing types range from apartments to condos to some of the largest and most expensive homes in Davis. The downtown area consists of a mix of older, smaller, and remolded homes along with some of the largest trees in the city. Houses here are highly desirable due to the walk-ability factor to downtown businesses, restaurants, and community events. schools and the new Junior High in East Davis are located in this area as well as the office parks, technology companies and the retailers along 2nd street. West Davis boasts several picturesque parks including Aspen Greenbelt, West Pond, Arroyo Park which has a community swimming pool, and West Manor Park. Stonegate, which has its own lake and clubhouse with a pool and tennis courts is the furthest west and the largest subdivision in West Davis. 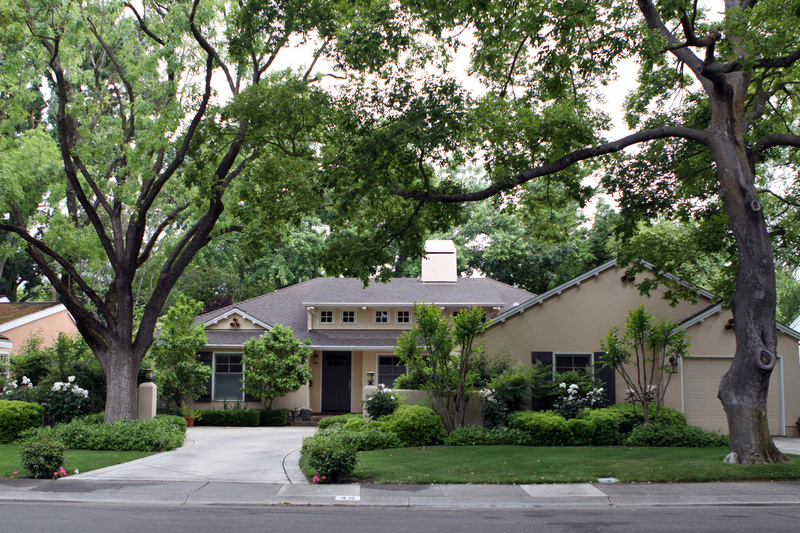 Village Homes is likely the most famous neighborhood in Davis. It is a 70- acre eco-friendly subdivision perfect for families seeking sustainable living. Close to downtown but separated by I-80, there is a mix of student housing, apartments and generally smaller homes. As one travels east, the neighborhoods tend to have larger homes including the larger parcels of Old Willowbank and the homes surrounding the El Macero Country Club. The bike path system that follows Putah Creek, passes under I-80, and ends up downtown is prized by South Davis residents. For those who work in Sacramento, living in South Davis is ideal for quick access to the freeway.